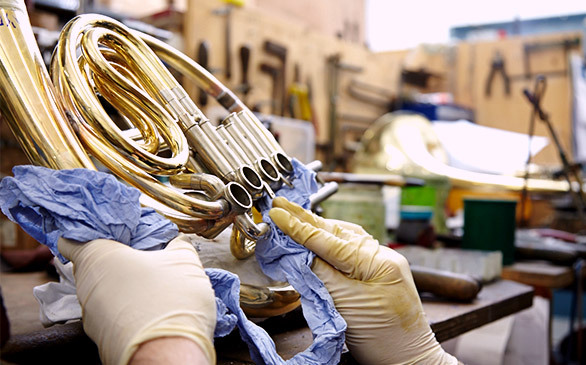 Our workshop offers the most comprehensive service for horn players in the UK, from restringing a valve to a valve service or even a complete rebuild of a damaged instrument. Our service is not just for owners of Paxmans. 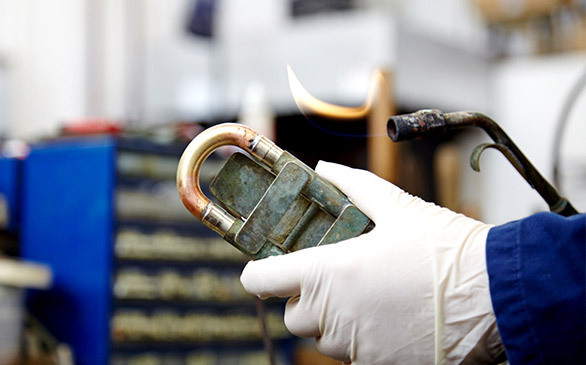 As exclusive importers of Alexander horns and parts, and stockists of many other brands, we have a large stock of parts and can therefore offer a quick turnaround as well as the superb craftsmanship you would expect. Paxman are pleased to announce that we are now able to offer a free loan instrument to any customer leaving their horn with us for repair. This means that as well as benefitting from having repairs or servicing carried out by the best equipped and most experienced workshop in the UK, you will not be without an instrument for however long your regular horn is with us. The instruments supplied will be Paxman Academy or Series 4 horns (subject to availability) along with a backpack style case. The horn repair facility is open from 9.30am until 4.00pm Monday to Thursday and there will always be a member of staff who can discuss a repair and give an estimate of the costs involved. Every repair is obviously unique but the chart above provide a rough guide. The prices shown include VAT. If you would like to discuss a repair, or would like more information, please contact us.